Our Tesla Workstations are revolutionary supercomputing machines that offer the performance of a cluster in box that sits on your desk. 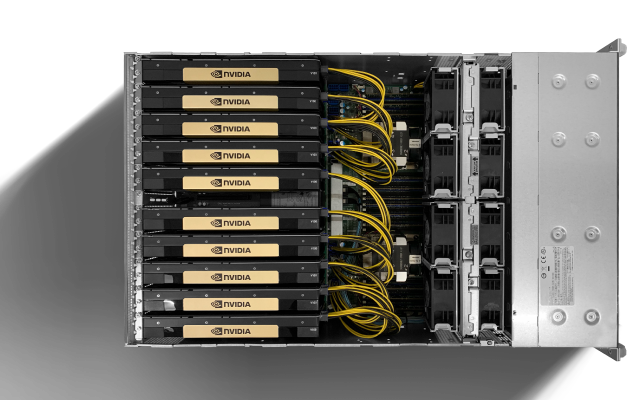 By utilizing the latest NVIDIA® Volta™ architecture, our NVIDIA Tesla workstations offer a compact computing platform that is engineered to deliver the fastest performance and the best energy efficiency for workloads with near-infinite computing needs. Exxact Quadro Workstations are fully turnkey, built to perform right out of the box so you avoid the drudgery of configuration and setup. 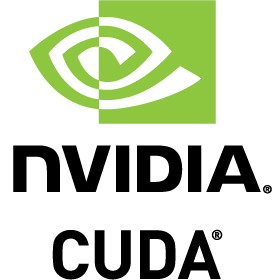 Exxact can preintsall, configure, and integrate a wide variety of software tools for any NVIDIA Tesla GPU Accelerated Workload. Connect two GV100s to 2x memory for designs, simulations, HPC workloads, and experience the most life-like VR possible. Work with massive, full fidelity datasets and enjoy fluid visual interactivity with AI-accelerated denoising. Have peace of mind, focus on what matters most, knowing your system is backed by a 3 year warranty and support. 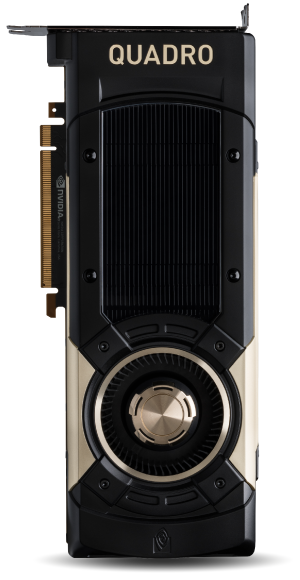 Please note the primary NVIDIA GPUs for workstation-based computing will be the NVIDIA Quadro Volta lineup. The primary NVIDIA GPUs for server-based computing will be the NVIDIA Tesla Volta lineup. » For more information, please contact our sales here. Want Tesla Power at Your Desktop? Quadro GV100 May be Right for You. Tesla Workstations by Exxact are designed from the ground-up for GPU computing based on NVIDIA CUDA parallel computing platform, widely deployed with 1000s of GPU-accelerated applications. 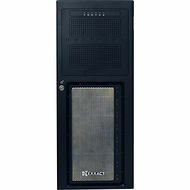 With Exxact GPU Workstations featuring NVIDIA’s CUDA, scientists and engineers in academia, government, and industry are able to push the boundaries of research, optimize workflow, and accelerate the pace of research and discovery. 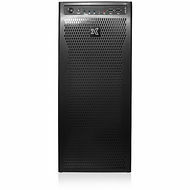 Exxact Quadro Workstations featuring the GV100 reinvents the workstation to meet the demands of AI-enhanced design and visualization workflows. 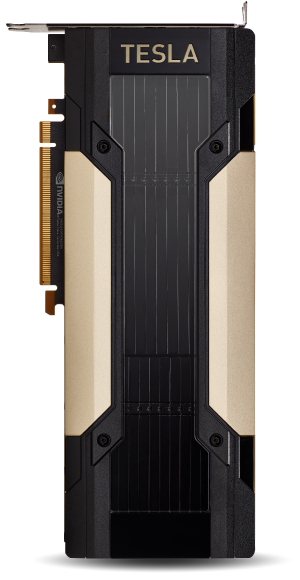 Powered by the NVIDIA Volta architecture, Exxact GV100 GPU workstations deliver extreme memory capacity, scalability, and performance that designers, architects, and scientists need to create, build, and solve the impossible. 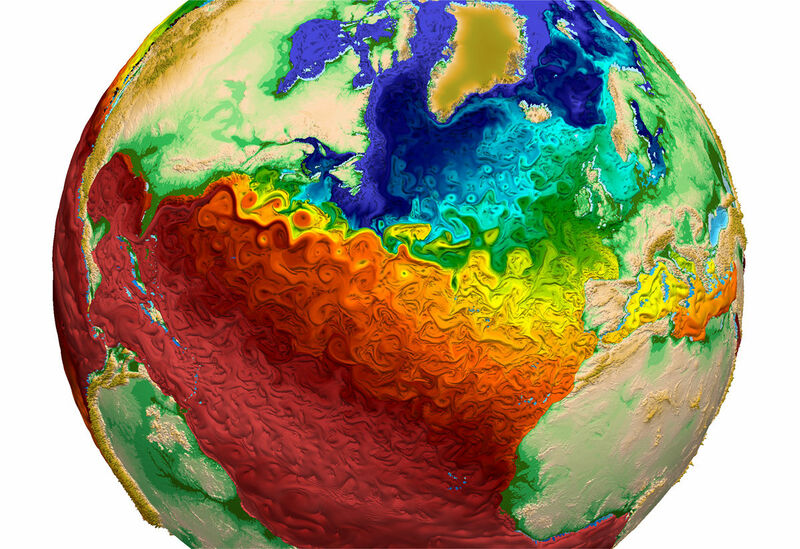 HPC generated visualization from Los Alamos National Laboratory depicting global water-surface temperatures.